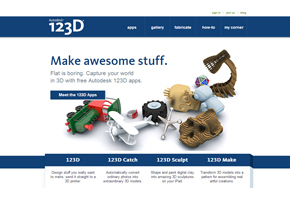 Use Autodesk 123D free 3D modeling software to create things yourself and 3D print them on Sculpteo through the integrated interface. Use Leopoly, the free, browser-based 3D sculpting tool to design your objects for 3D printing. "we will definitely tighten our relationship in the future"
"3D Printing with Sculpteo represents a great innovation for Orange's customers. This personalization service is just a first step, we will definitely tighten our relationship further in the future. 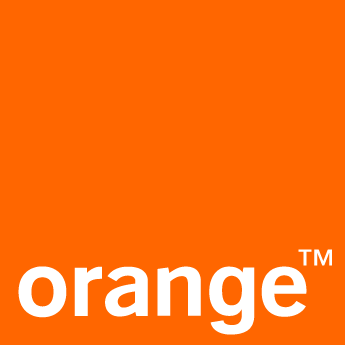 By leveraging innovation, Orange aims to offer a better experience to its customers, better meeting their needs." "Shoppers today not only want to buy items anytime, anywhere through mobile devices, but they also want to be able to personalize their purchases. eBay Exact brings these two desires into one shopping experience"
"Now, for the first time, 123D Creature makes it easy for anyone to create a sophisticated creature on an iPad, and then have a 3D print delivered to their doorstep with a few swipes of their finger"
""Users who want a sculpture of their masterpiece that they can hold in their hand, can order a 3D print of their creature, with a few steps, that will be mailed to them from Sculpteo’s 3D printing services embedded within the app"
"Previously used for rapid prototyping, 3D printing is now considered as a manufacturing solution and is available to all, thanks to an easy-to-use online service created by Sculpteo for 3DVIA." "Previously used for rapid prototyping, 3D printing is now considered as a manufacturing solution and is available to all, thanks to an easy-to-use online service created by Sculpteo for 3DVIA. Users simply click the “Send to Sculpteo 3D Print” button on their own 3DVIA model’s view page, specify the size they wish to print and choose a white, black or full-color print option. Final printed models are shipped directly to users’ mailboxes. During the online printing process, 3D models are automatically analyzed to ensure the best results. Digital repair and optimization are just one of the many features provided through Dassault Systèmes and Sculpteo’s partnership." "Working with Sculpteo was as easy and seamless as a client could ask for. With a tight turnaround for a high-profile brand, Sculpteo was able to hit all of our deadlines and requests with zero complications, and Nora was an absolute dream to work with!" Thanks for the fantastic models you've made for us, and we'll know where to go to get more in the future.
" It's a model of our lab's Suspended Microchannel Resonator (SMR) mass sensor, a tiny microfluidic device that we use to weigh single cells. We made the model as an educational or interpretive tool to help explain how the SMR works. In reality, the part of the SMR that looks like a diving board is actually about the size of a human hair. The diving board vibrates at a certain frequency, and when a cell passes through the channel inside the diving board, the frequency changes in proportion to the mass of the cell - that's how we weigh cells. In two of the images I've used a video projector to project an animation onto the model - the colors indicate different fluids in the device, and the little white circle represents a cell. This turns the model into a "3D movie" of sorts, and has been a very effective teaching tool. Thanks for the fantastic models you've made for us, and we'll know where to go to get more in the future. " " They’re fully custom-made, accommodate complex geometries, and come at an attractive price. " " We called upon Sculpteo to manufacture technical parts for our wind tunnel tests: they are used every day in a functional manner. 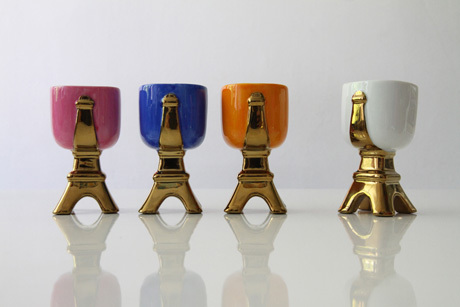 They’re fully custom-made, accommodate complex geometries, and come at an attractive price. 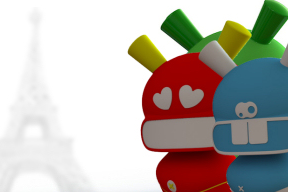 We're very happy with the service offered by Sculpteo. And what’s more, the quality of the materials and delivery times perfectly address our needs: our items ship 2 days after each of our orders! " " Quickly producing a 3D model allows us to visualize the real thing rather than an image, which helps to make decisions on its proportions and evaluate perceptions of the object. " What were your needs in terms of rapid prototyping? In other words, why was it important for you to use the rapid prototyping process? 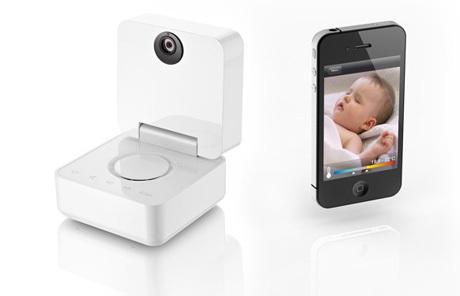 Rapid prototyping was essential for us to check the volumes of our submissions, especially for the Smart Baby Monitor where two very different solutions were under consideration. It helped with our decision based on a realistic model and let us quickly visualize the changes we needed to apply. What are the benefits of an intermediate model in the process of defining objects? - Quickly producing a 3D model allows us to visualize the real thing rather than an image, which helps to make decisions on its proportions and evaluate perceptions of the object. It’s an essential step in the project development process and is all the more effective when used in the early stages, which only rapid prototyping allows. - Moreover, rapid prototyping allows us to easily include functional elements (kinematics, moving parts) which a “foam” mock-up cannot. Again, this helps to validate our architectural choices. - And finally, with an adequate design, it allows us to produce different options with a common basis and test several submissions very cheaply. Can you tell us what you think of Sculpteo’s production process and turnaround time, and the quality of their items? 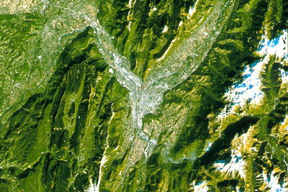 The production process is extremely simple – it can be fully managed remotely. You upload your file, they check it, send a reliable quote and start manufacturing almost immediately. That means we can receive our item within 48 to 72 hours, which is virtually impossible with other methods.
" Outsourcing parts allows us to work without the investments and time dedicated to the production aspect. This frees up time for my students’ creativity – and they’re very happy to see their part for real, and what’s more 100% functional in their prototype. " " The goal for our first high school year class was to create a ‘sensor bar’ (an accessory for Nintendo’s Wii game console) that could be used on a USB port. For the last year, the point was mainly to produce parts and assemblies designed with a volume modeler to create a working prototype. 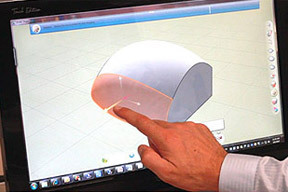 We used SolidWorks (2007 version). The students themselves design the parts and I handle export in a format compatible with Sculpteo.com (WRML format for colour parts). We receive the parts within more or less a week, allowing us to get parts in time for the next class. The main advantage is the overall cost: investing in a colour 3D printer would require about 20 000 euros, plus supplies, plus training, fine-tuning, etc. Outsourcing parts allows us to work without the investments and time dedicated to the production aspect. This frees up time for my students’ creativity – and they’re very happy to see their part for real, and what’s more 100% functional in their prototype. " " We have worked with a lot of partners, and Sculpteo particularly for our scale model made by 3D printing, which has allowed us to produce the model in a very short time, in the exact way we imagined it. " 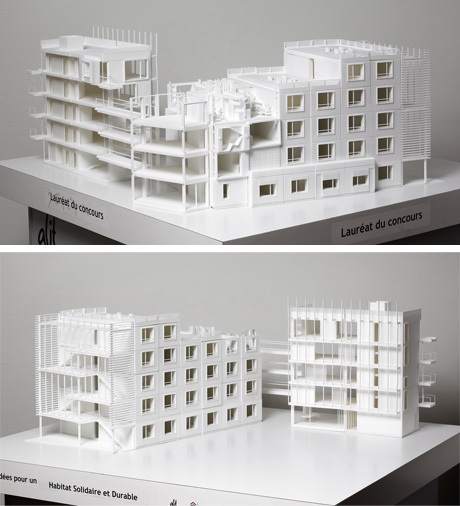 model made of laser-sintered polyamide. Lauréat du concours « Habitat durable et solidaire » organisé par l'ALJT et l’Entreprise Sociale pour l’Habitat OSICA.
" For this particular competition, we worked with timber construction engineering firm Arbosphère, energy performance specialists Avenir-Investir, Aldès for air processing, Emmaüs who are developing ‘Metisse’ insulation from recycled clothing and creating jobs for people in precarious situations, Plus Nature for landscaping and biodiversity aspects in the case. Textile fabric company Ferrari and designer Jean-Luc Alfonsi worked on the display for the competition, which was constructed with recycled and recyclable canvas panels, and finally Sculpteo, for our presentation model which was 3D printed”, says the winning team. " " With traditional models, this would have quite simply been impossible. With rapid prototyping, it only took a few hours. »"
Model produced by laser-sintered polyamide and colour 3D printing.
" 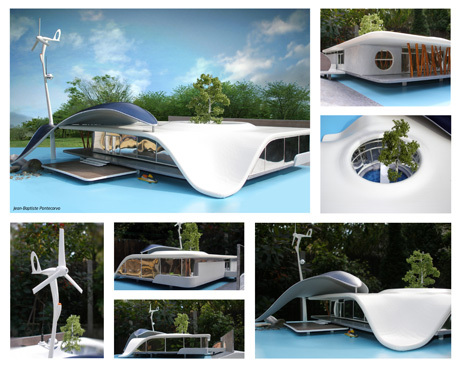 I was wondering how a model-maker could create some of Villa TEO’s elements: the roof, solar canopy and wind turbine had complex shapes and curves. With traditional models, this would have quite simply been impossible. With rapid prototyping, it only took a few hours: it's fast, sturdy and true to the original model. I am very happy with my collaboration with the Sculpteo team, who were fully involved in the project and highly responsive. " " Sculpteo is a valued partner in the development of our prototypes, with great turnaround times and very affordable rates. " Model produced in laser-sintered polyamide.
" BVS is a young business active in the field of smart vision, and we regularly need innovative custom parts for our various electronic devices. Sculpteo is a valued partner in the development of our prototypes, with great turnaround times and very affordable rates. " " Your company’s quick prototyping solutions were greeted with unanimous approval. " 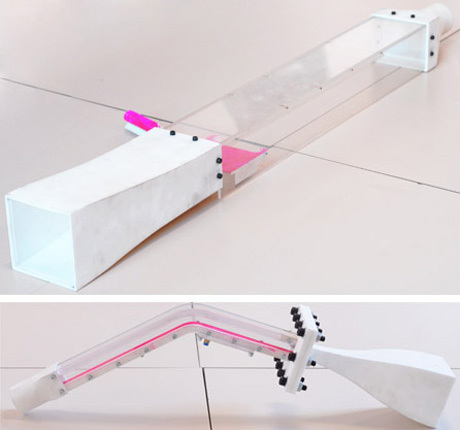 Project “Dentsply” by Lionel Rossier. 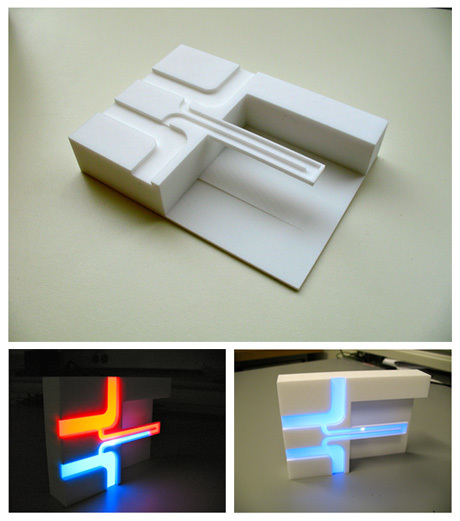 Model produced in laser-sintered polyamide and painted silver.
" This was a project for our marketing department. We could have produced these metal parts in our own machine shop, but I took the initiative of ordering a prototype from your company for a very reasonable price; when I showed it to the project managers, your company’s quick prototyping solutions were greeted with unanimous approval. " " The time we save with Sculpteo has allowed us to optimize and develop our creative work with very reasonable costs. The factories we work with are blown away by the quality and level of detail of the prototypes we send them. " 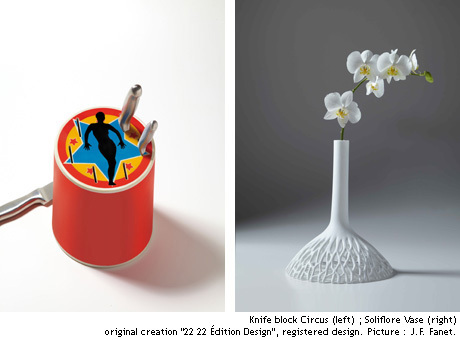 " We are delighted with our collaboration with Sculpteo, which has allowed us to develop a great deal of objects with extreme precision and incredible speed. Until now, modelling an object took a minimum of 2 to 3 weeks, now it hardly takes a couple of days. The time we save with Sculpteo has allowed us to optimize and develop our creative work with very reasonable costs. The factories we work with are blown away by the quality and level of detail of the prototypes we send them. " " thanks to Sculpteo, this type of printing has become more affordable and boosted our freedom of creation. " " This technology allows us to increase the level of detail and precision on parts previously difficult to handle when models were managed manually. Today, thanks to Sculpteo, this type of printing has become more affordable and boosted our freedom of creation. It is also much easier to duplicate an item, like a digital mould would be destroyed after the copies are printed. This new form of creation raises questions about the difference between a physical object and its virtual doppelganger, a difference that is tending to fade as such technologies are perfected. " " You quite obviously offered the best value for money. " 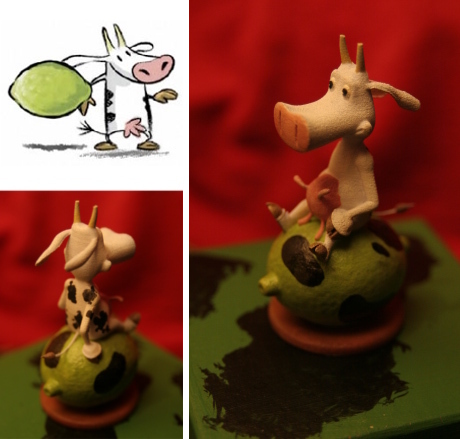 " The famous cow at http://citronvache.com.br/v2/ has evolved from Laurent Cardon’s rather 2D design to my 3D version - and from there to your 3D print. What’s funny is that in a way, Laurent is now haunted by his cow: he keeps getting given cow-themed mugs, objects with cows all over them, cows made of plasticine… So I may not have been very original, but at least I was modern. Why Sculpteo? Because of this piece about 3D printing on the 3DVF website: http://www.3dvf.com/dossier-616-1-impression-3d-en-ligne.html#3Dvolumeprint - you quite obviously offered the best value for money. " " 3D printing has allowed me to save time when making my models, and to quickly find out problematic technical points depending on the final material selected for the object. " " 3D printing has allowed me to save time when making my models, and to quickly find out problematic technical points depending on the final material selected for the object. Sculpteo.com is pleasant to use, providing fast quotes and great communications. " Everything is incredibly automated. For the client, the solution comes down to a file upload and to use an e-commerce solution with a fast customer service. Sculpteo’s services, and their quick delivery time helped us validate all the details about our product. I’m really satisfied with the final version we got from Sculpteo. In the same way crowdfunding allows hardware startups to rapidly market test their products, Sculpteo's 3D printing technologies accelerate their development cycles. 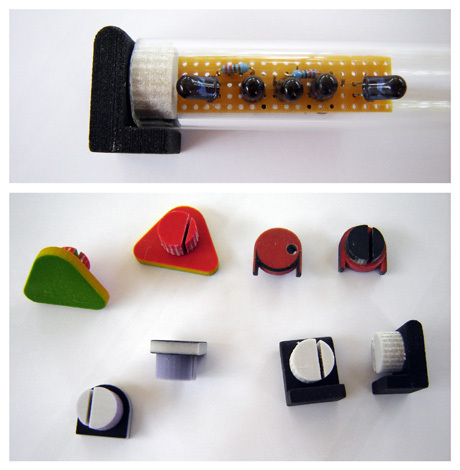 Sculpteo’s team helped us to utilize all of the subtleties and potential of 3D printing. 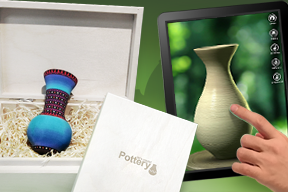 Sculpteo has a great selection of materials, competitive prices and delivers faster than any other online vendor.